Snoring causes troubles for couples. It’s not just the snorer who is in danger, so is the partner. Sleeping with someone who snores puts you in real danger. This is not to scare you or anything but a snoring partner shortens your life. It’s true that sleeping with a snorer can take a toll on your health. 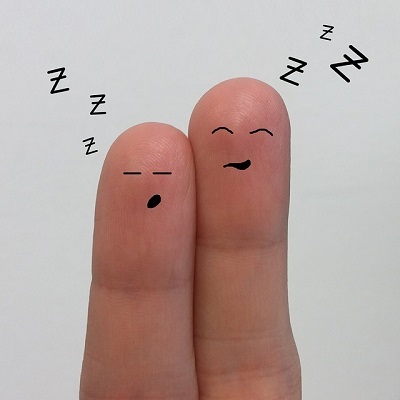 People who sleep next to snorers report high levels of fatigue and sleepiness and may even be at higher risk for hearing loss. What’s worse than waking up in the middle of the night because of a loud snore? It’s staying up against your will because you just can’t go back to sleep anymore. Who in the world can go back to sleep with such an annoying noise? Not all snores are created equal. 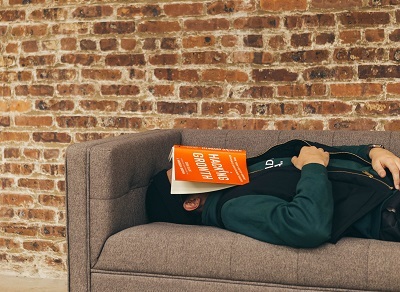 The average snore is about 40 decibels, about the same level of noise you would hear in a library (think consistent whispering and quiet chattering). If you’re a light sleeper, a whisper could easily wake and keep you up as well. After all, a noise is a noise. It doesn’t really matter how loud it is. In a worst-case scenario, you could be sleeping with someone who snores very loud. That could be very bad for both you and your snoring partner. But believe it or not: the human snore can roar. In fact, one of Britain’s loudest snorers is a grandmother of four who snores every night at 111.6 decibels. That’s louder than a jackhammer, a subway train, a hand drill, power mower, snowmobile, motorcycle, and a power saw—and just eight decibels lower than the sound produced by a low-flying jet plane. Now, that’s loud. That could really damage your hearing. Sleep physicians can identify and correct mouth breathing in their patients. Sometimes we do not think about a disease until it becomes overwhelming. This is especially true when the symptoms are relatively mild, have an unclear origin, or a very gradual onset. Obstructive sleep apnea (OSA) is a good example of this sort of disease; people will often live with OSA symptoms for years before seeking medical attention. It is important to identify risk factors for diseases like OSA; some will be causal factors, and they may be crucial to effective treatments and even cures. Obesity is probably the most well-known OSA risk factor, but others clearly exist, such as hypertension and smoking. Less well recognized is how nasal obstruction is a risk factor for OSA. And unlike other contributors to OSA, nasal obstruction is often amenable to treatment. Even when not contributing to OSA, nasal congestion can worsen subjective sleep quality in our patients. What’s more, nasal obstruction can be a major challenge for the treatment of OSA, so it is important to recognize and manage it in all of sleep-disordered breathing patients. In this article, I will discuss nasal obstruction as a risk factor for OSA, as a barrier to the treatment of OSA, and how sleep medicine specialists can best address it for OSA patients. By treating our patient’s nasal obstruction, we can improve their sleep, adherence to positive airway pressure (PAP) therapy, and improve their quality of life. The nose performs several functions during breathing. It humidifies and warms the air and filters out large particles—protecting the lower airway. While we are all capable of oral breathing, the oral mucosa is not capable of an adequate amount of humidification. In fact, an easy way to determine if someone is mouth breathing in their sleep is to ask if their mouth is dry in the morning or if they need water at their bedside. When I was pregnant for the first time, I had visions of my husband, my baby, and I all sleeping peacefully in the same bed. All three of us, together and safe, as a family, straight through the night. That lasted about a week before I realized that my baby didn’t know basic bed etiquette, like not kicking people in the face while they’re lying next to you, and not pulling mommy’s hair while she’s having a wonderful dream. But once you’ve brought your baby into your bed, it can be extremely difficult to get them out. We’re creatures of habit when it comes to sleep, and change is never welcomed gracefully. So today, I have a few tips to help you if you’ve decided to reclaim your bed and get your little one sleeping in their own room. It’s not going to be easy, I’ll warn you, but with some determination and a little knowledge, it should be over in a couple of nights. Rather read than watch? Click here. If your baby, infant or toddler is having trouble sleeping through the night, help is just a click away! The Sleep Sense Program has helped over 57,00 parents to get their kids sleeping 11-12 hours through the night AND taking long, restful naps during the day. If you’re ready to get started today – I’m looking forward to helping you! The post Getting Your Child Out of Your Bed appeared first on The Sleep Sense Program by Dana Obleman. Snoring is a serious matter. It’s more than just the snorting sound one makes when asleep. Here’s what happens when we snore. While we are asleep, turbulent airflow can cause the tissues of the palate (roof of the mouth) and throat to vibrate, giving rise to snoring. Essentially, snoring is a sound resulting from turbulent airflow that causes tissues to vibrate during sleep. Given the fact that there’s some turbulent airflow that causes snoring, it’s really not enough to just acknowledge it. Snoring should be treated as soon as possible. People who snore—and the partners who must listen to their snoring at night—usually have no problem acknowledging that snoring is disruptive and uncomfortable. But most don’t look for actual treatment for their snoring, particularly if it is not accompanied by obstructive sleep apnea, a serious sleep disorder that is characterized by interruptions to breathing during sleep. Snoring—with or without sleep apnea—is a very real health concern. Snoring is a sign of disrupted sleep, which can lead to many health problems. And new research suggests that snoring itself may increase the risk of cardiovascular disease. Snoring, is no doubt, dangerous to the cardiovascular system. It can eventually damage the heart. According to the associate medical director for the Sleep Clinic at Harvard-affiliated Brigham and Women’s Hospital, Dr. Lawrence Epstein, it could pose as serious threat to the health of the heart. Sleep apnea does more than interrupt your slumber. It could also threaten your heart health. “Apnea is a risk factor for the development of high blood pressure, and high blood pressure tends to lead to cardiovascular disease,” Dr. Epstein says. No, Dr. Epstein isn’t kidding at all. You know why? Apparently, sleep apnea can actually cause the snorer to stop breathing. People with obstructive sleep apnea stop breathing for 10 to 20 seconds while they sleep; this can occur from a few to hundreds of times a night. U.S. News & World Report on what to know about symptoms, causes of and treatments for sleeplessness during pregnancy. Dimitriu says there’s “some evidence that sleep apnea might also get worse in pregnancy,” and this may be related to weight gain associated with the developing baby. Sleep apnea is a condition in which you stop breathing momentarily multiple times during the night. This can cause you to wake up frequently, and you might not even know it’s happening. Sleep apnea can be a serious condition, so “that’s something to watch out for,” Dimitriu says. If you start snoring while you’re pregnant, snoring worsens or you develop any sort of breathing issue, talk with your doctor. your mood, give you an energy boost, and help you get a good night’s sleep. for some people to want to use them. That’s where essential oil diffusers come in. 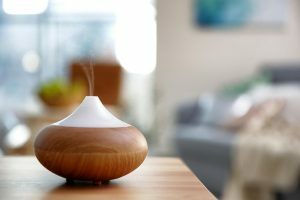 So what is an essential oil diffuser? turns essential oils into a fine mist or vapor that’s released into the air. and concentration. There are even essential oils that can help relieve pain. most long-lasting ways to enjoy the full benefits of these fragrant compounds. to choose from. In fact, the number of choices can seem a little overwhelming. diffuser that suits your needs. I didn’t know if you’d come with me on this path. We’d JUST finished the incredible record-breaking Sleep In 2019 campaign, with many of you giving time and spoons to support Project Sleep. The very next day, I learned that our advocacy moment had arrived — yay!! But with a really quick turnaround deadline — gulp!! It was our time to shine – our time to show Congress, NIH, & CDC that people with sleep disorders were organized and taking action. I never doubted our community’s fierce passion for the cause, but I worried about the timing, on the heels of the Sleep In and with short turnaround. People are busy and spoons are limited. Yet, I suppose some opportunities, like adversity, come on their own time, with little regard for our neat little schedules and plans. So we try our best to go with the flow (still hard for me, but working on it). conduct lots of follow up. So yeah, I was worried. I created a cheesy poster-board to broadcast our progress via Facebook Live and Instagram. You kept showing up, you emailed, you called, you shared your stories, and you enlisted friends and family to do the same. Collectively, the project included thousands of emails with nearly 200 patient advocates reaching over 100 congressional offices on Capitol Hill, reaching districts from New Hampshire to California, from Michigan to Alabama! As more patients turn to their dentists for help with obstructive sleep apnea (OSA), the American Academy of Dental Sleep Medicine (AADSM) releases its educational standards for the dentists who practice dental sleep medicine. “It is about ensuring those dentists who desire to treat patients with OSA or snoring are properly trained, so their patients are safely and effectively treated,” says David Schwartz, DDS, D.ABDSM, AADSM president-elect, in a release. His editorial explaining the organization’s position appears in the most recent issue of the Journal of Dental Sleep Medicine. The AADSM launched the AADSM Mastery Program to provide standardized education to dentists who want to provide oral appliance therapy for OSA and snoring. The program consists of three levels of training comprising 65 hours of continuing education. The AADSM has reached out to all US dental schools, inviting them to offer an accredited AADSM Mastery Program. The AADSM recently approved the first dental school to receive this designation. The AADSM states that standardized education based on a core curriculum is essential for the growth of the field. “I firmly believe that dentists will play an increasingly larger role in preventing medical diseases and treating illnesses such as OSA, snoring, type 2 diabetes, and hypertension. There simply are not enough physicians, but to do so, we need to demonstrate that we are competent to provide optimal care,” says Schwartz. You’ve probably heard of ZQuiet. It’s a well-known anti-snoring mouthpiece. If you’re already using it, good for you. If not, why not look into it. Who knows? It might be just be the right mouthpiece to help you stop snoring. ZQuiet mouthpiece is a mandibular advancement device, also known as MAD. It is fitted into the mouth before sleeping to stop the snoring. The most widely used mouth device for sleep apnea, MADs look much like a mouth guard used in sports. The devices snap over the upper and lower dental arches and have metal hinges that make it possible for the lower jaw to be eased forward. ZQuiet mouthpiece has been ranked the top anti-snoring mouthpiece for 2019. This is according to Nutshellnutrition.com. Overall the ZQuiet thoroughly deserves the #1 spot on our list. On their website you can see numerous five star reviews from individuals just like yourself who have suffered from the negative effects of snoring, and read their stories of how this simple product has changed their entire life for the better. In addition to the reviews, ZQuiet more importantly has the backing of several well renowned dentists and dental practitioners worldwide. Who praise it for its innovative and non-invasive design. Now, hold on. It’s not enough to know that ZQuiet mouthpiece is ranked number one. Before deciding on using it, here are 4 crucial things that you should know about this particular mouthpiece. 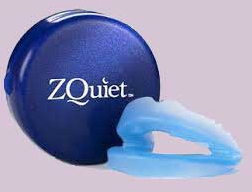 ZQuiet mouthpiece was created by a couple who suffered a lot from snoring. It all started because Dan Webster snored. Exiled to the living room couch so his wife Katrina could catch up on her sleep after the birth of their second child, Dan had surgery on his airway in the hope of regaining his place in the bedroom. The elective procedure was not covered by insurance, and after a long and painful recovery period, the snoring returned. It was then that Dan began to research oral appliance therapy, and soon, the couple decided to create their own anti-snoring device. I think it’s safe to say that, no matter how great our kids might be, there’s always going to be some bad habit or behavior that you, as the parent, are going to want to prevent. But as we all know, breaking a bad habit isn’t nearly as easy as it sounds. Many people go through life without ever altering their own self-destructive behaviors, so it’s obviously quite a challenge to convince a toddler to stop whining for candy or quit teasing their sibling. In today’s video, I have a few tips that should help you understand the motivation behind some of those undesirable behaviors, and leave you better equipped to prevent them with a minimal amount of protest from your little ones. Are you tired of butting heads with your little ones? Looking for a better way of resolving conflict with them? I’ve got just the thing! Kids:The Manual is filled with simple, step-by-step solutions to the problems that parents face with their children’s behavior. End the frustration for both you and your child, and discover the surprisingly easy path to a conflict-free relationship with your kids! The post Changing Behavior appeared first on The Sleep Sense Program by Dana Obleman.